If you're looking for a truly unique and memorable gift for Valentine's Day or another special occasion, the Sounds of Aloha Chorus can help! 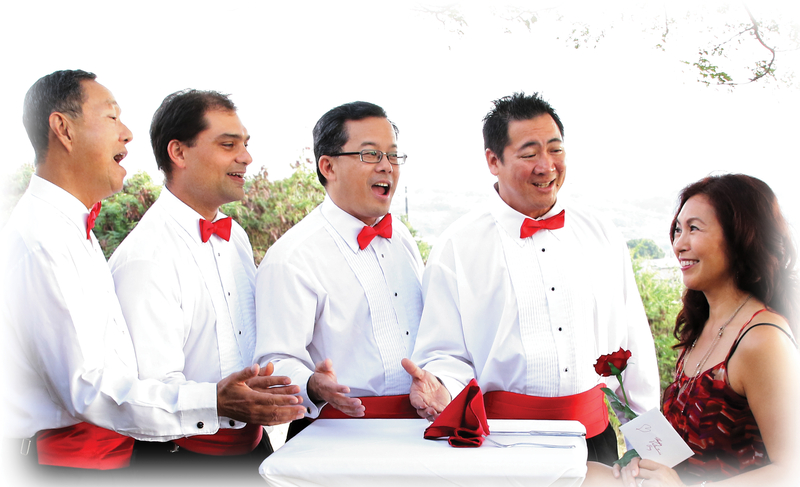 You can arrange for a barbershop quartet to serenade your sweetheart or other recipient(s), a cappella and in person, at an available Oahu location and during a time window of your choosing. We can perform at a residence, a workplace, a restaurant, a school, a hotel, a hospital... you name it. We've sung for recipients ranging from high schoolers to senior citizens, as well as for whole families, neighborhoods, coaching staffs, school classes, and company parties. 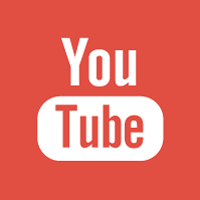 We even can deliver songs by phone or video! Our normal in-person delivery region extends to Kapolei in West Oahu, to Wahiawa in Central Oahu, and from Waimanalo to Kaneohe on the Windward side. Depending on quartet availability, we may be able to fulfill a request outside of that area for a nominally higher fee. We can arrange for access to military installations, sometimes with the customer's help. We can create a very special memory for visitors to Hawaii. 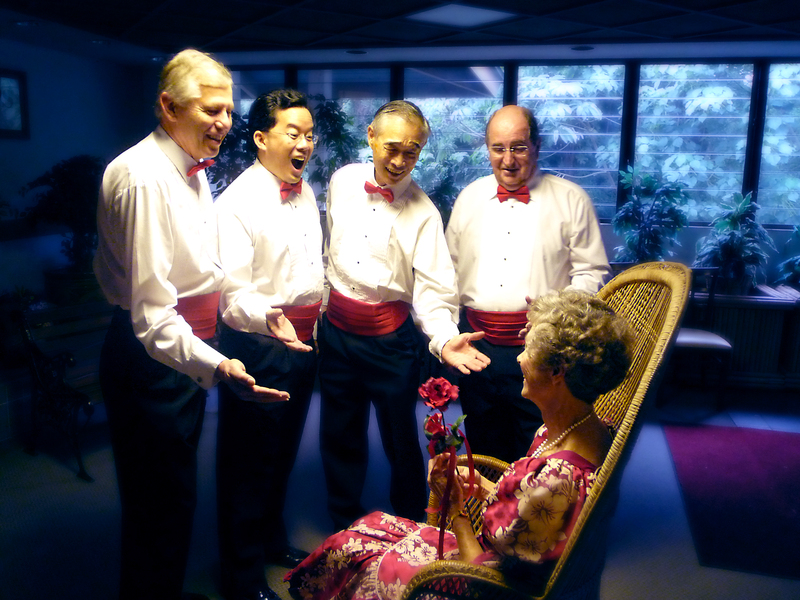 For Valentine's Day, the quartet will perform two love songs and deliver a rose and a card bearing your personal message. Check out some highlights from 2018 and from 2017, as well as this 2019 appearance by the quartet 19th Avenue on the KHON TV's Wake Up 2day morning show. For a surprisingly modest fee you can arrange for delivery within a two-hour window of time or greater. For a little bit extra you can arrange a more specific time. Evening delivery to a Waikiki location also costs a bit more. The easiest way to book a Hawaii Singing Valentine is by using our online order form, which will be available right from this page when we are ready to take orders for 2020! When the time comes you also can place an order by phone at (808) 262-SONG (7664). 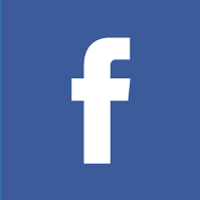 If you want to be added to our contact list, want to book a singing telegram some other special occasion, like a birthday, anniversary, or the holidays, or want to discuss booking a quartet or the whole chorus for another kind of performance, please contact us. We may be able to customize a performance for your occasion. For either a Singing Valentine or another singing telegram, it helps if you contact us in advance. We realize that when you're trying to schedule a surprise it's sometimes hard to pin down ahead of time where the recipient will be. But our singers have day jobs, so while it's always worth checking, we aren't always able to fulfill last-minute orders. Even Singing Valentines are subject to availability, and we typically get a flurry of orders right before Valentine's Day. The earlier you place your order, and the more flexible your delivery window, the more likely we can make it happen. We promise it will be something special!